Thanks for letting me know about that Elvis book Will Jima did. As mentioned in my review, I couldn't find a single copy in any of the usual online outlets (forget about any book stores in my area). It must be an incredibly rare book. This is probably one of the most absurd albums I have in my collection. In late 1973, Will Jima claimed he was abducted by aliens in Pascagoula, Mississippi. I am certain it was the same night as the Charles Hickson and Calvin Parker abduction (apparently it wasn't the same night, the Hickson/Parker abduction was in October 1973, Will Jima's abduction was in November 1973, but since it appeared to be the same location, it seemed like the same aliens that abducted Hickson and Parker also abducted Jima, even though they were on separate nights). The cover to The UFO Message shows the same artist illustration of the UFO that abducted Hickson and Parker. Did they run into each other? The UFO Message was released in 1974, and though I don't have the album, I did hear small excerpts, and he did mention Hickson and Parker. This guy comes from the Deep South, and is a Christian, so naturally he combines his religious belief with UFOs. He apparently made a lot of appearances on regional TV and radio, as well as the hotel lecture circuit. You can only imagine the most desperate and least credible of TV and radio stations wanting to accept him (likely certain UHF TV or AM radio stations), and for hotels, they couldn't turn him away since money is required for use of a lecture hall or conference room. Since I suspect all of that is correct, no one has dug up vintage television footage of Will Jima and posted it on YouTube probably because the footage has long since disintegrated or were destroyed. This is the kind of guy that, had he been doing this stuff 20 years later, he'd be a regular on Art Bell's Coast to Coast. This guy was the king of conspiracy theories way back when Art Bell was just a little known radio DJ playing music. 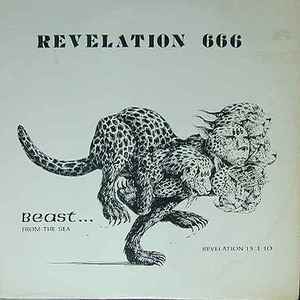 In 1975 he releases his second album Revelation 666. Again, you get treated with this random generated synth sound (I'm certain it was just an ARP Odyssey with the sample and hold feature) that for some reason gets loud and then fades, and the gets loud again, sometimes at the most inopportune time (sometimes it gets so loud it almost drowns out his voice). Here he mentions several cities (Los Angeles, Atlanta, Dallas, Memphis, New Orleans and Birmingham), the Greek letter "Lambda", how it connects to these cities, the assassinations of John F. Kennedy, Martin Luther King and Robert Kennedy, and how the number 11 fits into all this. He goes off on bible prophecies, how the Pope covered up the Message of Fatima, Portugal, future predictions for the rest of 1975 and 1976, much which never came to be and other stuff that just left me in utter disbelief. His Southern accent certainly helps big time. He's released two other albums, The UFO Message, as mentioned before, and The Secret Sea: Where are the Ships and Planes (1977), which I would love to hear. He then apparently written some booklet on Elvis in 1977 (apparently published one month after his death), called Elvis: Dead or Alive (it seems to be extremely rare, as I have never found a copy anywhere, not on eBay, Amazon, AbeBooks, or anything like it, never mind any used book store, but Nightwing777 let me know he acquired a copy, so there is now solid proof), which you can be certain didn't exactly help his credibility. He seemed to have disappeared off the radar scope since that time. No one seems to know what he's up to since then, and whether he is even still alive. Jima Productions was, of course, Will Jima's own record label, so unsurprisingly, nothing else but his recordings were available on this label. His three albums were only available through mail order, and since that time have became rather difficult to get a hold of. For those who like conspiracy theories, with religion and Ufology, you should get his albums.